This project is creating a website dedicated to the theme “Great Writers inspire – learning from the past”. On the site you will be able to find freely available content related to individual authors and literary themes. We are using this blog to let you follow the progress of the project and explore the material as it is being made available. Feel free to send us your comments and suggestions! Want to be inspired? 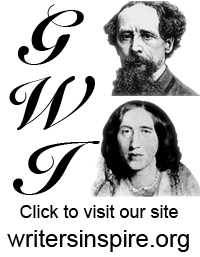 Explore the podcasts on the Great Writers Inspire podcast page. For the (Literary) Detective in you! A Medieval Mystery: Who Was the Pearl-poet?